Obedience and agility trials are lots of fun, but training is more than just competing in the ring. The right training helps your dog be happy, confident and well-mannered, as well as free of behaviour problems – instead of a destructive, noisy or antisocial pests who cause you constant stress. All dogs need owners who are willing to train them, and no dog is ever too old to learn new skills! SHCNSW recommends using only positive, dog-friendly training methods, and promotes this as the official position for all events held by the club. Using dog-friendly training methods means rewarding desirable behaviours, ignoring or redirecting undesirable behaviours, and otherwise preventing behaviours that can’t be ignored. This is in contrast to training methods that use physical dominance, coercion or punishment to correct a dog for wrong action or try to force a dog to comply. The term Dominance refers to human beings using force or aggression to make dogs submit or defer, in an attempt to establish ‘hierarchy’. Dominance Theory is the outdated idea that this kind of force or aggression is necessary in training. Intimidation, physical force and aggressive acts like “Alpha Rolls” are inappropriate training methods, and can actually be dangerous. Punishment is the use of force, coercion, aversives or physical correction in order to stop an unwanted behaviour. Equipment used often includes choke chains, pinch collars or electronic shock collars. The same dog-friendly training methods will work as effectively to train a Siberian Husky as they will with any other breed, large or small. Classes that avoid punishment and use rewards or motivational techniques in training are suitable for all Siberian Huskies, young and old. Yes. The same dog-friendly training methods will work as effectively to train a Siberian Husky as they will with any other breed, large or small. It’s a myth that Siberian Huskies are “related to wolves”. They are a purebred dog breed that is no more closely related to wolves than Poodles or Chihuahuas. Siberian Huskies are intelligent and physically very capable and often more in need of training than other breeds so that small problem behaviours don’t grow into big ones. Behaviours that can perhaps be tolerated in toy breeds often become completely unacceptable when done by a dog as large and active as a husky. Most training groups and organisations that promote preferential use of reward-based training are suitable for Siberian Huskies. In short, dog-friendly methods work best. The Siberian Husky Club of NSW is vitally interested in helping every potential dog owner find the breed ideally suited to their particular tastes and requirements. Above all, we want every Siberian Husky puppy to be placed in a home where they will be appreciated for their special qualities. Because of this we feel it is important to share with you just what a Siberian Husky is and isn’t. We think you should also be told that they do have their challenges, and may not make the ideal pet for everyone who is attracted to them. 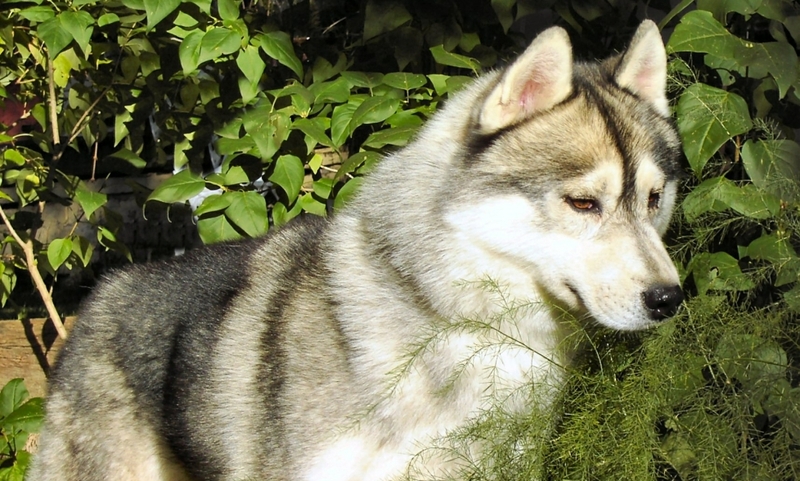 Siberians are a gregarious lot and need the company of other dogs or of people. If you work all day, or only have room for one dog… Don’t buy a Siberian husky. The Siberian Husky is, and has for centuries been, a purebred dog – not a wolf, half-wolf or cross-bred animal as some uninformed sites suggest. The breed was originally developed by the Chukchi (pronounced ‘chook-chee’) people of northeastern Asia as an endurance sled dog. In 1909, the first large numbers of these Chukchi dogs were brought to Alaska to compete in the long-distance All-Alaska Sweepstakes races, and the Alaskan dog drivers quickly recognized the ability of these huskies from Siberia. The Siberian husky has a delightful temperament, affectionate but not fawning. This gentle and friendly disposition may be a heritage from the past, since the Chukchi people held their dogs in great esteem, housed them in the family shelters, and encouraged their children to play with them. Today, it is charming to observe the special appeal that Siberian huskies and children have for each other. The Siberian husky is alert, eager to please, and adaptable. Their intelligence has been proven, but their independent spirit may at times challenge your ingenuity. The versatility of the Siberian husky makes them an agreeable companion to people of all ages and varying interests. While capable of showing strong affection for their family, the Siberian huskies are not usually a one-person dog. They exhibit no fear or suspicion of strangers, and will greet guests cordially. So, if you want the fierce loyalty of a one-man dog… Don’t buy a Siberian husky. Theirs is not the temperament of a watchdog, although a Siberian husky may unwittingly act as a deterrent to those ignorant of their true hospitable nature. If they lack a fierce possessive instinct, they also lack the aggressive quality which can otherwise cause trouble for the owner of an ill-trained or highly sensitive guard dog. If you want a dog with aggressive guard-dog instincts… Don’t buy a Siberian husky. In their interactions with unfamiliar dogs, the Siberian husky displays friendly interest and gentlemanly decorum. If attacked, however, they are ready and able to defend themselves. Predatory instincts in the Siberian husky are strong. While the Siberian is normally gentle and friendly with people and other dogs, owners MUST be aware that small animals in and around the home, such as rabbits, birds, guinea pigs and cats, are potential victims of their strong predatory instinct. They are swift, cunning, and patient in their hunting skills. The Siberian husky is a comparatively easy dog to care for. They are by nature fastidiously clean and is free from body odour and parasites. They are presented in the show ring well-groomed and never require clipping or trimming. At least once a year the Siberian husky sheds their coat, and it is then, when armed with a comb and a garbage bag, that one realizes the amazing density and profusion of the typical Siberian husky coat. Some people feel that this periodic problem is easier to cope with than the constant shedding and renewal of many smooth- coated breeds. If you like fur all over the house and in the very air you breathe, then fine. If, however, you value neatness at all times, then… Dont buy a Siberian husky. Chewing and digging? Siberian huskies have been known to do their share. The former is a habit that most puppies of all breeds acquire during the teething period, and it can be curbed or channelled in the right direction. Digging holes is a pastime that many Siberian huskies have a special proclivity for, but in this, too, they may be outwitted, circumvented, of if you have the right area, indulged. If you take great pride in your landscaping efforts… Don’t buy a Siberian husky. The Siberian husky is noted as an “easy keeper”, requiring a relatively small amount of food for their size. This trait, too, may be traced to the origins of the breed, as the Chukchis developed their dogs to pull a light load at a fast pace over great distances in low temperatures on the smallest possible intake of food. Of all the shortcomings to be found in Siberians, the most dangerous to the pet owner is their tremendous desire to RUN. A Siberian, for their own protection, should be kept confined or under control at all times. If you are one of those people who think it is cruel to kennel a dog, or keep him confined in his own backyard… Don’t buy a Siberian husky. If you have read this far, honestly feel that you qualify on all counts, and are still determined to own a Siberian, then we take great pleasure in welcoming you to the fold. Join the rest of us in the smug complacency of knowing that we own the most beautiful, the smartest, the most nearly ideal dog in the world… the Siberian husky! We remain dedicated to the preservation and perpetuation of the Siberian Husky as a sound, capable, and natural breed, whose characteristics of mind and body make him not only a beautiful dog and a willing worker, but also a devoted and delightful companion. The Siberian Husky Club of New South Wales is pleased to announce that Dr. Ian Dunbar has given us permission to offer the BEFORE You Get Your Puppy and AFTER You Get Your Puppy for free downloads below. Click the thumbnails to start the PDF download. We also have available to download, the quick start instruction books that will help you to understand and change your dog’s behaviour.